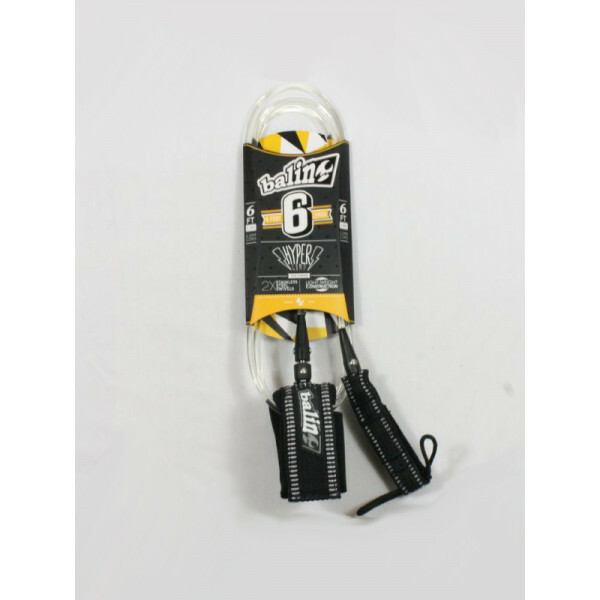 Balin CYCLONE 6' – LEASH:Length: 6 ft (1.8 m)Diameter: 7.4 mm Urethane CordKey PocketQuick Change TailsaverUpgraded USM moulds for strengthNeoprene padded strap for ComfortExtreme Reef Waves.. 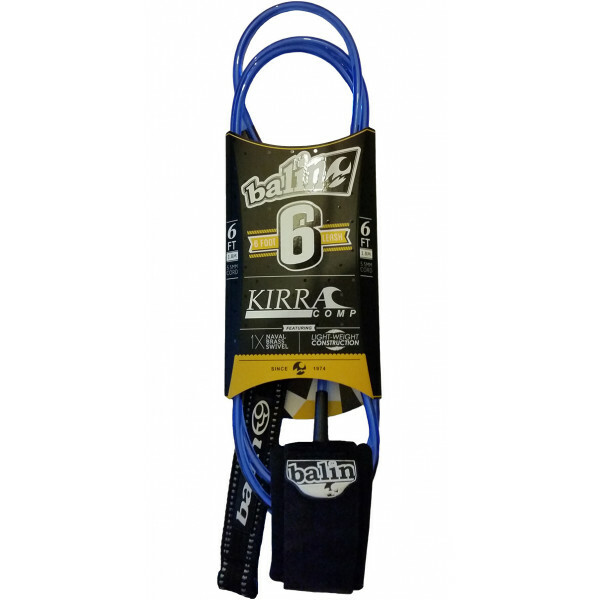 Product DescriptionBalin Cyclone Leg Ropes2 x Stainless Steel Swivels / Heavy Duty ConstructionFor: Advanced Surfers / Big Wave ChargersTravelers and Reef Surfing..
Balin Cyclone 8 Leg Ropes:2 x Stainless Steel Swivels / Heavy Duty ConstructionFor: Advanced Surfers / Big Wave ChargersTravelers and Reef Surfing..
Balin HYPER COMP 6'Length: 6 ft (1.8 m)Diameter: 5.5 mm UretanoKey PocketQuick Change TailsaverStand Away StrapNeoprene padded strap for Comfort2 x Stainless Steel Swivels..
BALIN KIRRA cord 6Balin was pioneer in the urethane legrope design back in the late 70's. The urethane-enclosed swivel was patented and eventually accepted as a worldwide standard. Blain's molding technology is unique and offers maximum strength. 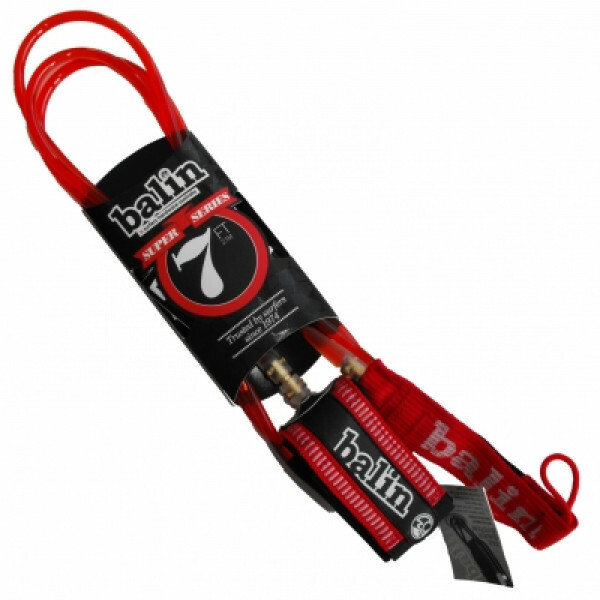 The design has been used and trusted by sur..
Balin pioneered Urethane legrope design back in the late 70's. The Swivel encased in urethane was patented and eventually accepted as a standard worldwide. Balin's moulding technology is unique and provides maximum strength and stretch. 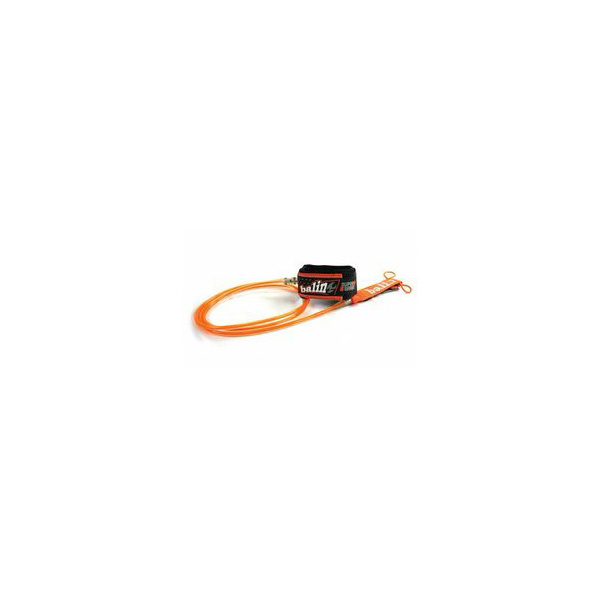 Our design has been used and trusted by surfers all over the wo.. 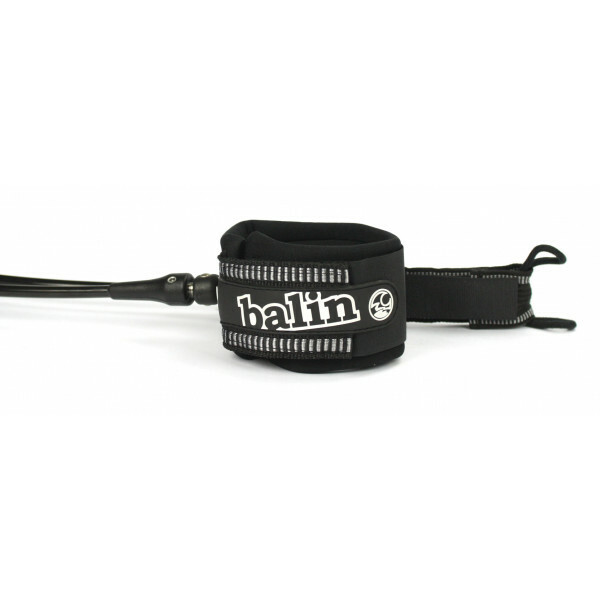 The Balin Storm riders SUP leash has been specifically designed for serious SUP surfers who want to challenge themselves in bigger and tougher surf conditions. 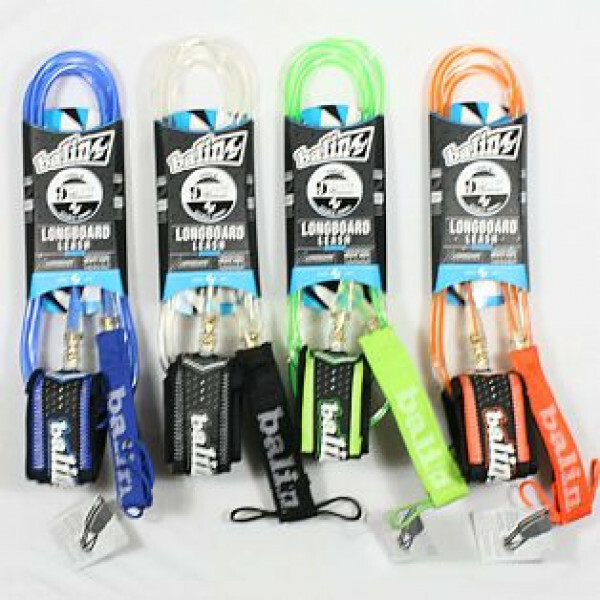 We’ve tried and tested these leashes in some pretty heavy surf on the Mornington Peninsula here in Victoria and they’ve come through with fl..
Balin top quality 'Super' Legrope* High strength 7mm Cord* Double brass swivel* Rail saver with plug string* Super comfy double padded leg strap with fin key pocket and pull strap* Balin 6 month Guarantee ..